It’s no secret that winter in Perth is usually pretty timid, that being said I have still managed to be struck down by the dreaded and often lethal “Man flu”. 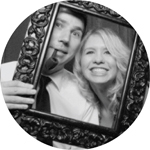 For more info on this debilitating illness you can read more here. Facing an uphill battle I decided a healthy purple smoothie was my only chance of survival. Plus, what’s not to love about a smoothie? They are so easy to make, hardly any prep is required and you can almost put anything you like into them and end up with a pretty tasty drink. The only thing left is cleaning the blender! 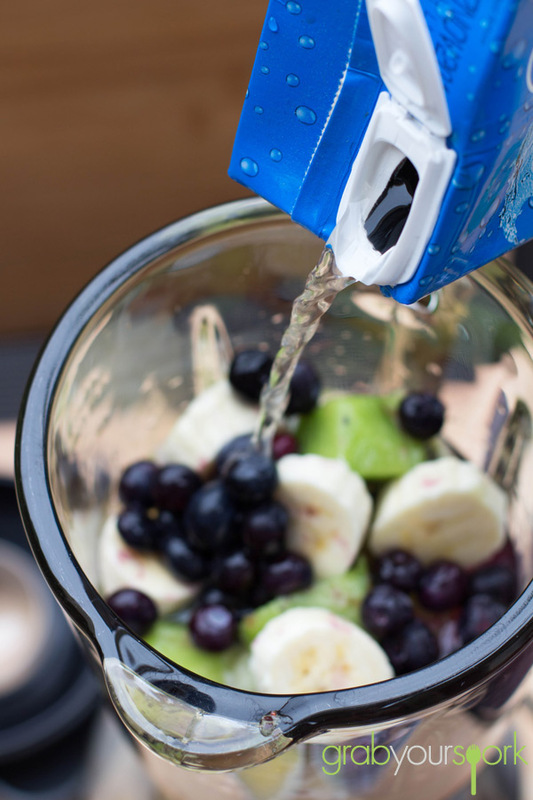 After over doing the Kale Smoothie a couple of weeks back, we have branched out to making a blueberry, banana, pineapple, kiwi fruit and coconut water smoothie. I know the name doesn’t say much about it, but this flavour combination is tasty as well as healthy! 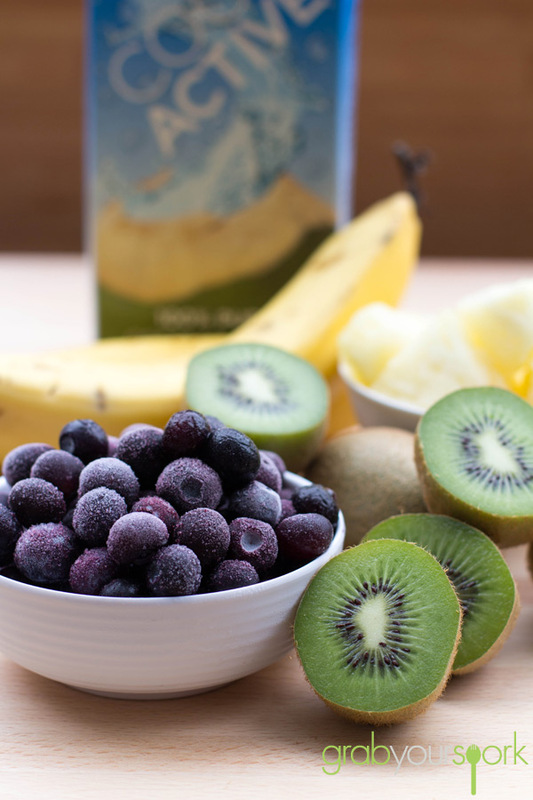 Using a combination of frozen fruits we had in the freezer and adding some fresh kiwi fruit we had we ended up with a flavour packed drink. Blueberries are delicious, they’re also packed with fiber, vitamin C, and antioxidants and are something we always try and keep around whether they are fresh or frozen. When added to this smoothie they not only add some yummy berry flavour they give the drink an amazing vibrant colour! This drink is definitely one I can see us drinking for the next couple of weeks till we have a new winning combination. 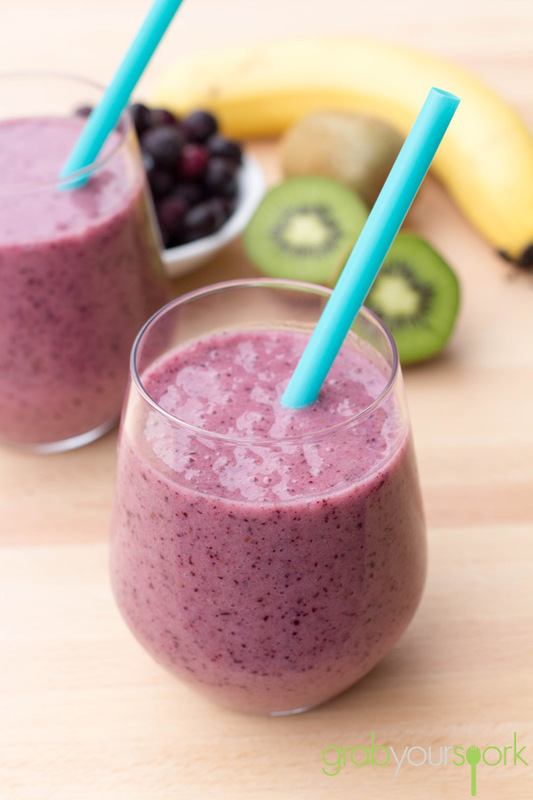 Healthy Purple Smoothie made with blueberry, banana, pineapple, kiwi fruit and coconut water and ice. 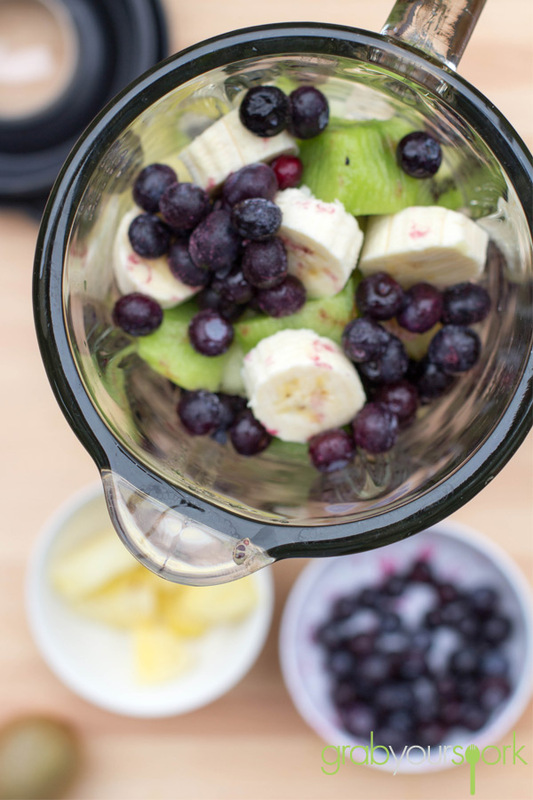 Combine all the ingredients in the blender and blitz for 1 – 2 minutes.